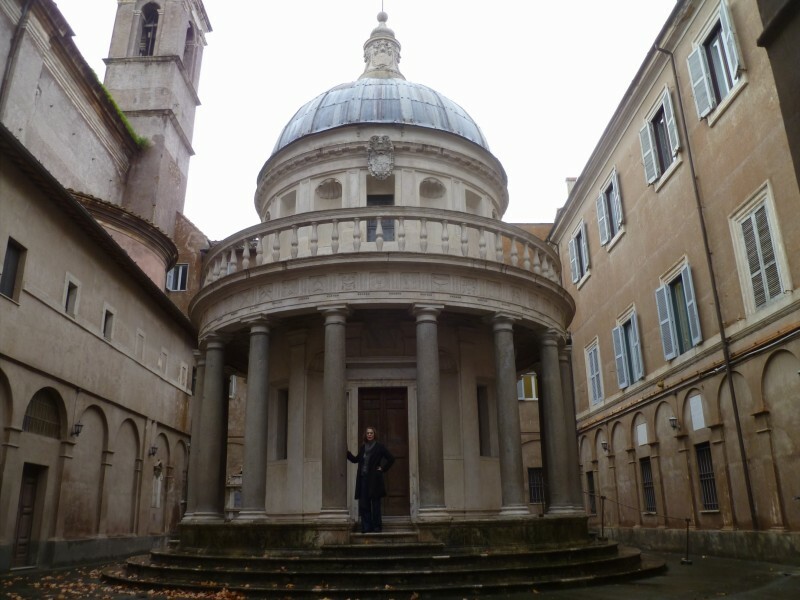 This modestly-scaled building in Rome, the Tempietto, is the monument of Italian High Renaissance. Donato Bramante created his “little temple” in 1502 after a lifetime of studying Roman ruins and the architectural writings of the classical author Vitruvius. Bramante followed a strict classical ratio of proportions, where height equals width in the lower and upper sections. The Tempietto feels rather severe, with minimal decoration from Doric columns in the outer circle and shell-topped niches in the inner circle. It’s not so much an imitation as a rebirth of the classical era. Bramante’s Tempietto is a perfect example of how one work of art or architecture can change the world. Look at the work of Bramante and his successor Andrea Palladio, and think of the state capital buildings in the US, of all the countless neoclassical banks and monuments all over the world, buildings used everywhere by people who have probably never heard of Bramante. And what could make our visit with this insanely influential sculpture of a building even better? It started to rain! Yes, HOB donned the Infamous Blue Travelling Poncho and then, ever so briefly, there were two great monuments standing together. Oh the majesty! How we got to Rome: train from Arezzo. 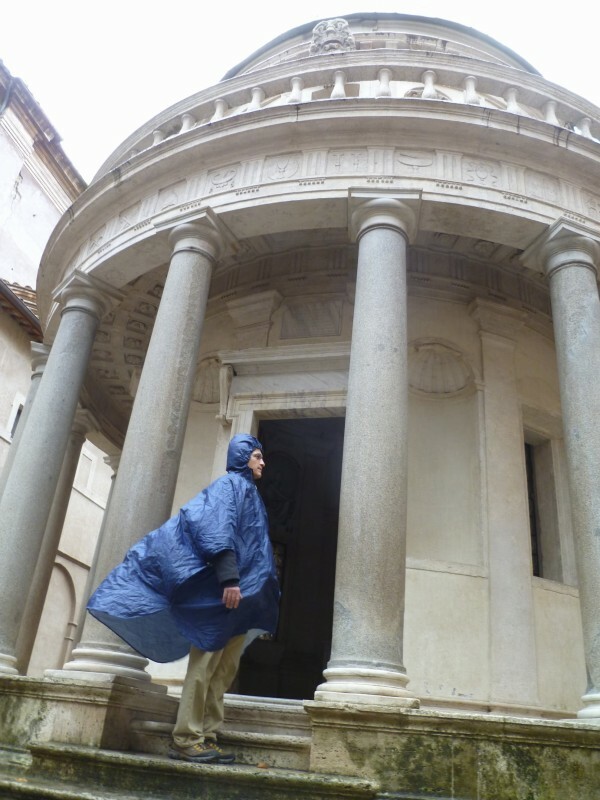 Where we slept: Papa Germano. Price: €60 for a double. Recommended: yes. Two great monuments, five hundred years apart. 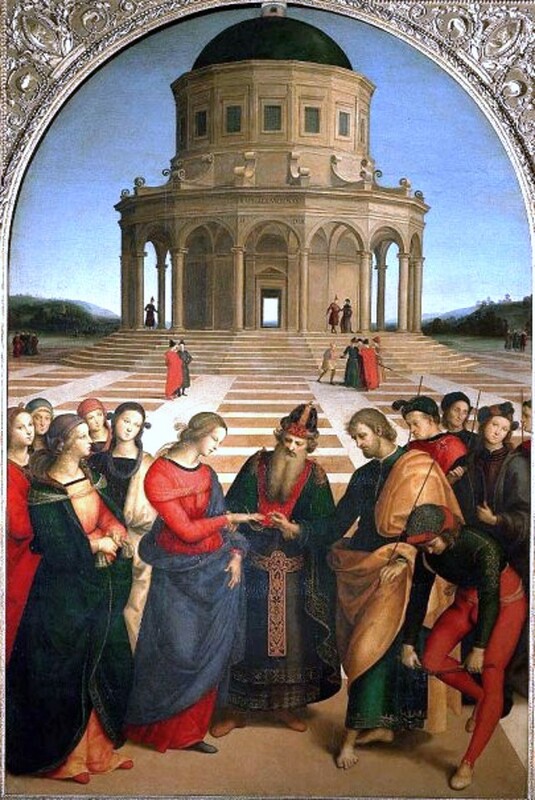 The Marriage of the Virgin, By Raphael, painted in 1504, about two years after the Tempietto was built. 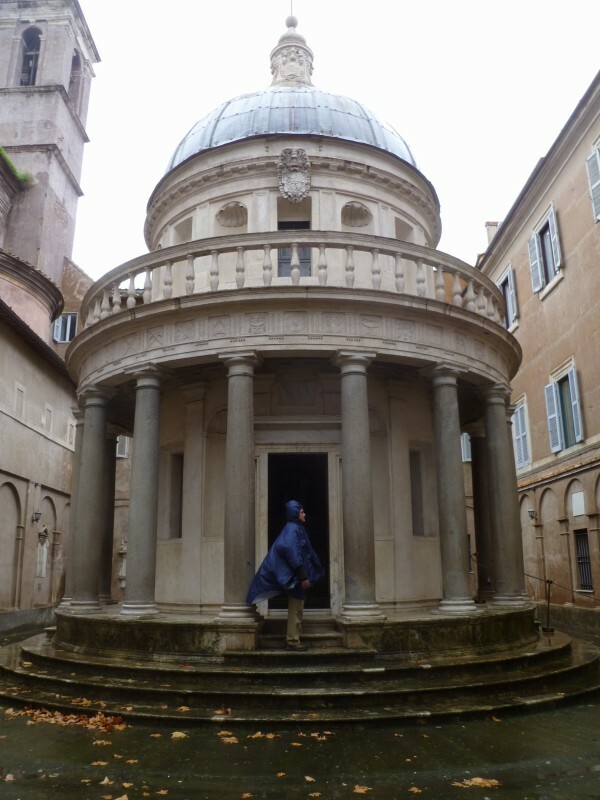 Was Rapheal influenced by the Tempietto? It certainly seems so to me. (Photo from Wikipedia).